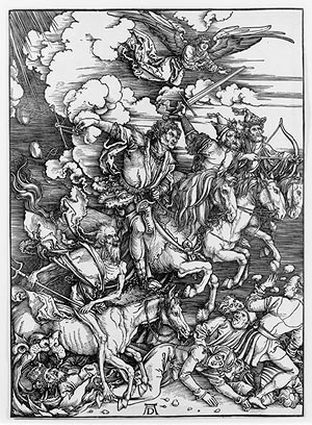 Albrecht Durer was a brilliant painter, draftsman, writer, and mathematician, though his first and probably greatest artistic impact was in the medium of printmaking. His vast body of work includes religious works, portraits, and copper engravings. 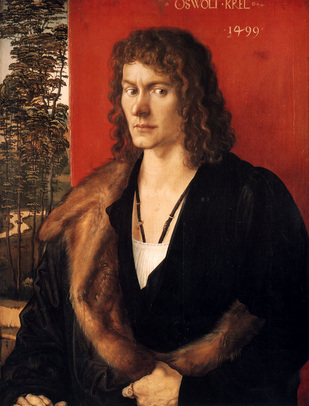 In 1448, at the age of 13, he completed a self-portrait, which was the first of many to come. 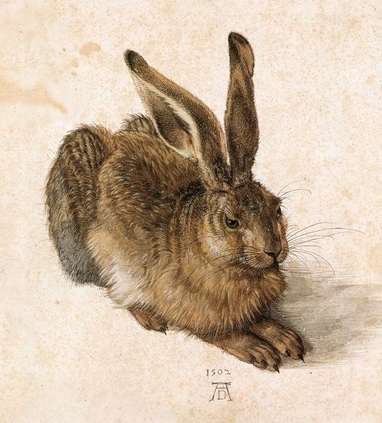 The featured painting this week is a watercolor by Durer called, Young Hare. The hare, or rabbit, is rendered with almost photographic accuracy and is considered to be a masterpiece of observational art. 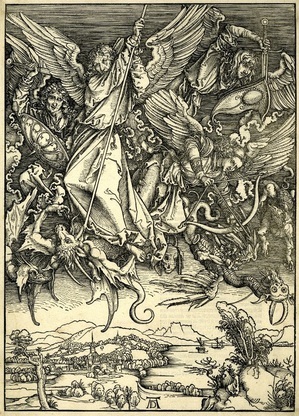 Durer created many excellent prints. He revolutionized printmaking, turning it into an independent art form. 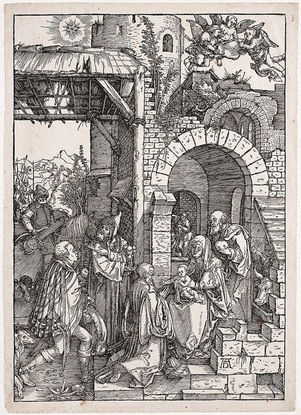 Durer produced both relief prints and intaglio prints. Relief prints and intaglio prints are opposites. Relief prints, such as woodcuts, cut away what an artist doesn’t want to print. Those raised areas that are left are spread with ink. 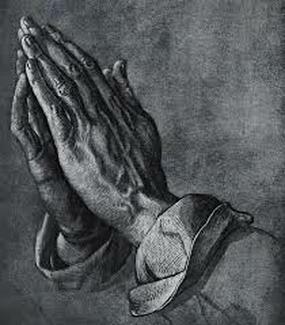 Durer was a great innovator of woodcuts as a fine art. Intaglio prints cut away or etch what an artist does want to print. The ink is placed into the cut away or sunken lines and areas. A press presses the design onto paper. 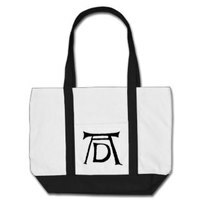 Albrecht Durer frequently signed his art with what became one of the most famous monograms in the art world. 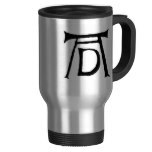 His A.D. signature for Albrecht Durer is easily recognized. 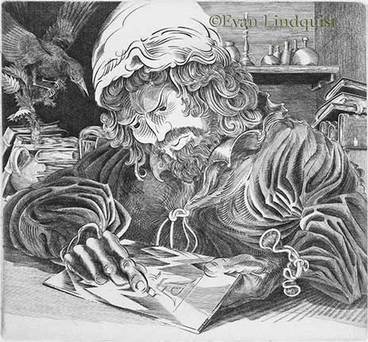 Jonesboro artist, Evan Lindquist, is known nationally for his intaglio prints. Lindquist was an art professor at ASU for 40 years and was appointed as the first Artist Laureate for the State of Arkansas. 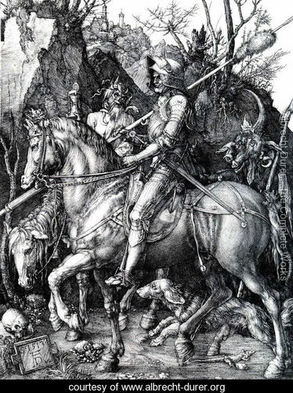 Lindquist created a print in 2008 honoring Albrecht Durer (Albrecht Durer Engraves His Initials). 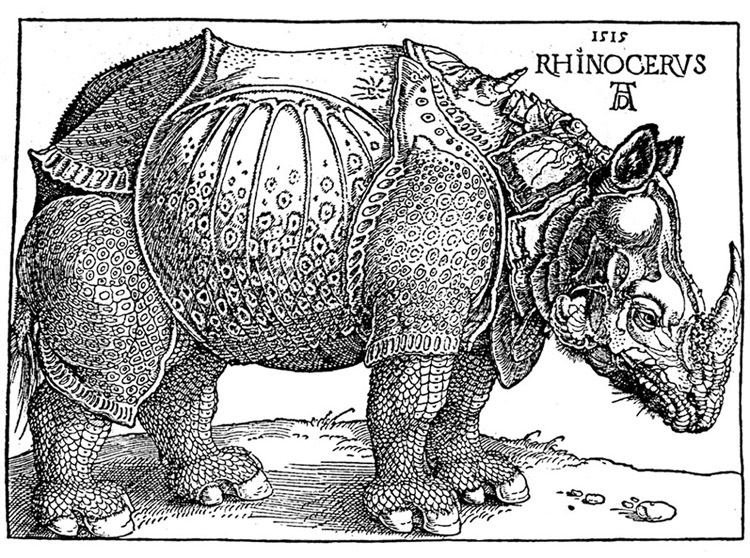 In 1515, Durer created his woodcut of a Rhinoceros. A rhinoceros had arrived in Germany by ship, but Durer never saw the animal. He prepared his woodcut print from a written description and sketch made by another artist. 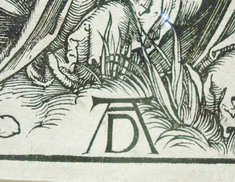 Durer’s print is not completely accurate. His rhinocerous drawing has hard, armor-like plates covering his body with rivets along the seams. He drew a small horn on its back and gave it scaly legs and saw-like rear quarters. Durer’s Rhinoceros print is one of his best-known even though it wasn’t anatomically correct. 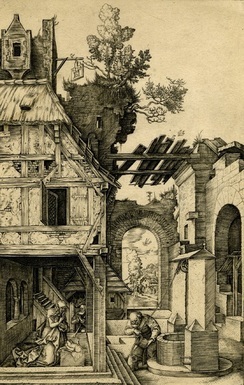 Dürer made large numbers of drawings when preparing to create an artwork. One of the most famous is his Praying Hands. 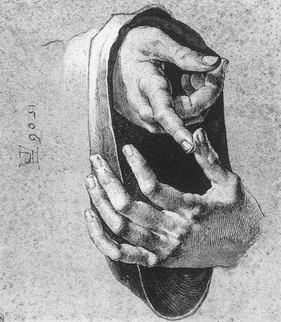 They were drawn as a study for the hands of an apostle in an altarpiece he was painting. Our painting of the week, Young Hare, was also a preparatory study done in watercolor. 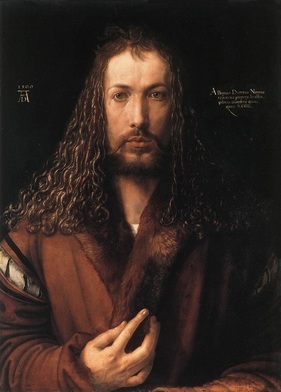 Durer is considered to be the greatest artist of the Northern Renaissance. His art had a large influence on future artists, especially in printmaking.